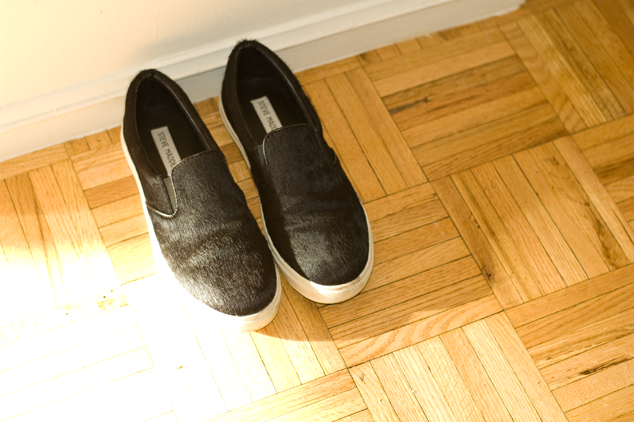 The most practical shoe in faux fur. :O that is so cute. you seriously have the best shoe collection. Awesome! Have you seen the python ones from the collab with The Blonde Salad? Having her name on them sort of turns me off, but they are still yummy! Maybe if I can get past my ridiculous aversion to anything she touches, I will buy them. Because the Celine skates unfortunately are not in my immediate future, le sigh.